IT'S OFFICIAL: Netflix confirms To All The Boys I've Loved Before sequel. It's official: Netflix is making a To All The Boys I've Loved Before sequel. Netflix just gave us the best Christmas gift we could’ve asked for… More screen time for the internet’s boyfriend Noah Centineo. To All The Boys I’ve Loved Before was Netflix’s 2018 smash hit romantic comedy and yep, it’s getting a sequel. Our faves Lara Jean and Peter Kavinsky will return for a second movie, announced by the cast on Thursday. 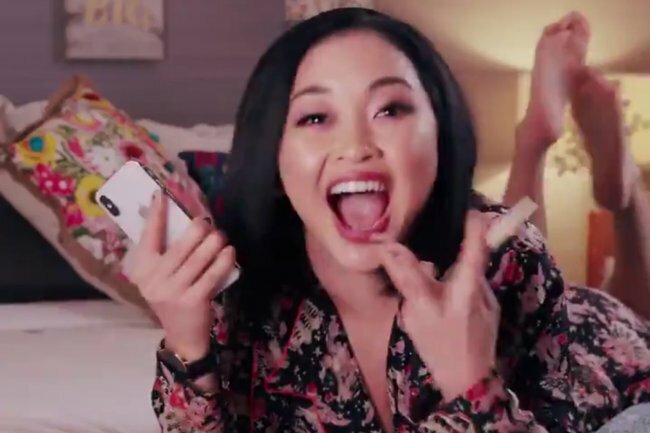 In the video posted to star Lana Condor’s Instagram, she and Centineo talked on FaceTime and shared the news. “I am so excited. It’s officially, official. We are making the To All the Boys sequel,” said Condor. In a statement (written in letter form, of course), the streaming giant confirmed the news. Rumours of a sequel have been swirling ever since the first film was released in August. There’s plenty of material already prepared for the film – the To All The Boys I’ve Loved Before book is actually part of a trilogy. According to director of the film Susan Johnson, a potential sequel may look further into Lara Jean and Peter Kavinksy’s relationship. “Relationships are hard to navigate and they’ll find themselves in one,” Johnson told ET in August. “We’re so invested in Peter and Lara Jean, that seeing them go through struggles is going to be hard but also something everybody can relate to,” she added. There’s no word on the sequel’s release date just yet, but we’re so ready for more Peter Kavinksy.